A training manual on the culture of peace, social cohesion, prevention and peaceful conflict management was presented on Thursday [November 29] in Abidjan by the Ivorian Minister for Solidarity, Social Cohesion and the Fight against Poverty. Prof. Mariatou Koné. The 235-page manual is structured around four modules: culture and peacebuilding, social cohesion, conflict prevention and peaceful conflict management. 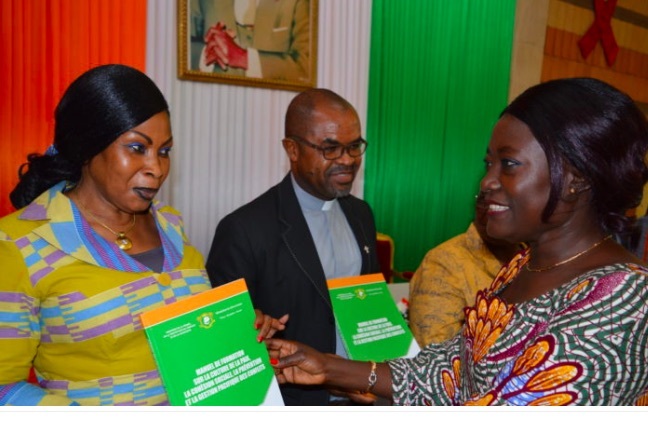 “With today’s launching of this handbook, Côte d’Ivoire has just taken another step on the road to consolidating peace and strengthening social cohesion. This manual comes at the right time (…), “said Minister Mariatou Koné after thanking the country’s technical and financial partners, including the United Nations Population Fund (UNFPA), the United Nations United Nations Educational, Scientific and Cultural Organization (UNESCO) and the United Nations Peacebuilding Fund (PBF). “Thank you for devoting your mandate, in the aftermath of the 2011 post-election crisis, with the valuable assistance of your staff, to keep Ivorians away from fear of others by investing in the development and promotion of tools. for political, intercultural, interreligious and intercommunity dialogue, “she said. How can we promote a human rights, peace based education? “To be at peace with others, to be at peace with oneself, is the ongoing challenge to create the conditions for sustainable development in the service of individual and collective well-being. Nothing can stop us from pursuing this goal,” she concluded. The purpose of the module on the culture of peace and peacebuilding is to provide participants in training sessions with a clear understanding of peace and the culture of peace, as well as the conditions for its consolidation. It also aims to enable them to know and appropriate the values ​​and attitudes that peace and the culture of peace bring to the everyday life of every citizen. As for the module on social cohesion, in addition to fixing the lexical field of the concept, it deals with its implications of life in society, particularly through the need for reconciliation and the key steps that such a process requires in a society in crisis. .
For its part, the Conflict Prevention Module promotes common traditional and modern conflict prevention practices and their functioning. These are broken down in such a way as to enable learners to make a deeper knowledge of them, but especially because they can be mobilized by them to anticipate conflicts. Finally, the module on conflict management engages participants in training sessions in a collective reflection that allows them to relativize and defuse conflict, define it correctly and have a clear representation by determining the role that it can play in a society, its different types, its causes, the actors who are stakeholders and the attitudes that should be adopted when it occurs. In 2015, a study was made about social cohesion and peace in Côte d’Ivoire, with the technical and financial support of the United Nations Development Program (UNDP). The study highlighted the need for better peace-building with three essential tools. a National Strategy for Reconciliation and Social Cohesion 2016-2020; a new National Social Cohesion Program for the period 2016-2020; and a handbook for the harmonization of skills in the field of social cohesion. culture of peace and social cohesion.